Today was the first day of school! Everyone was so excited, and several were nervous. We walked together up to school and found everyone’s classroom. Just a half day today, first full day tomorrow. Today we took the kids and ventured out to the Saint Luke’s NICU reunion. It was great to see friends and the nurses and doctors that so lovingly took care of our kids. It brought back so many memories of the rollercoaster that is the NICU. I started thinking about how sometimes I miss the “baby” days. All those snuggles, the midnight feedings, the diapers, the charting of meds and feeds, the influx of volunteers who selflessly gave of their time to love and care for my kids. Although I really don’t want to relive all that, I am thankful for the memories that have been made never to be forgotten. Without God and the staff at Saint Luke’s NICU, I would have no memories and for that I say Thank You! I would like to wish my Dad a very happy 70th birthday today. Please stay off the roof and limit your ladder use. 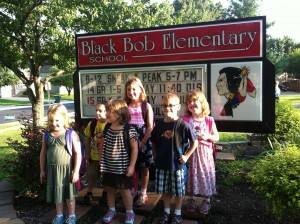 Today is the first day of summer school for the kids. Most of them were not ready to get up this morning and were grumpy, but once they go moving they were ok. Helen is still under the weather, so she is going to miss the first day, but hopefully she will be ready to go tomorrow. 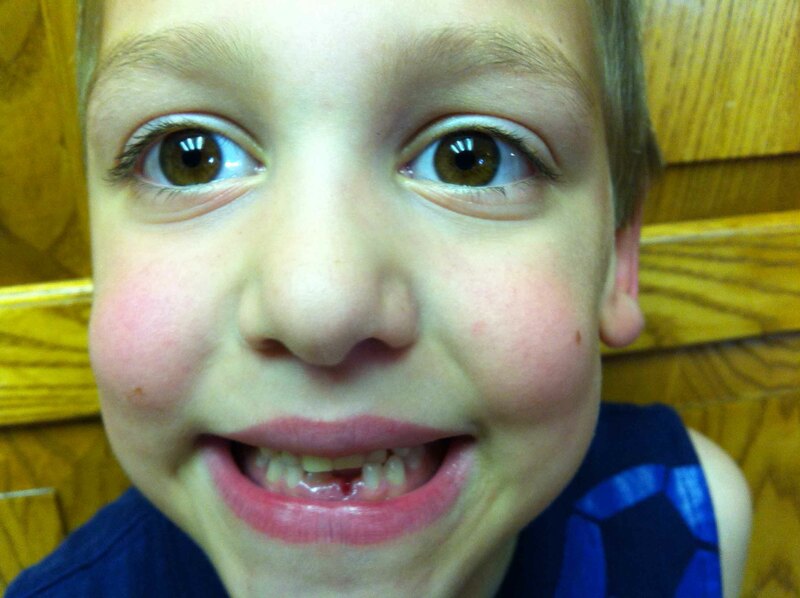 Also, Jesse lost his second tooth last night.